Earlier this year, official figures showed that rough sleeping in England had risen for the sixth successive year. The data showed that 4,134 people slept on the street in 2016, an increase of 16% on the previous year’s figure of 3,569, and more than double the 2010 figure. Many of those enduring long-term homelessness have complex and multiple needs related to mental health or addiction. While this is a growing problem in the UK, housing exclusion is by no means confined to these shores. As we reported in April, there is growing evidence of an alarming increase in homelessness across Europe. But one European country is bucking this trend. Since 2008, the Finnish government has been working with housing agencies to reduce long term homelessness and improve prevention services. The adopted approach, called ‘Housing First’, has had a big impact, achieving a 35% fall in long term homelessness over seven years. Finland is now the only country in the European Union where homelessness continues to fall. Housing First is not a uniquely Finnish approach to tackling homelessness, nor is it a new idea. The practice began in Los Angeles in the 1980s. It’s based on the principle that housing is a basic human right, and turns on its head the notion that vulnerable people are only ‘housing ready’ once they have begun to engage with support services. As the name suggests, Housing First means providing vulnerable people with permanent, affordable housing, and then offering specialised support to ensure that they don’t return to sleeping on the streets. However, acceptance of that support is not a condition for access to housing. The approach has been adopted in various American cities, as well as parts of Australia, Canada, France and Japan. But it’s in Finland that Housing First has achieved some of its most impressive results. One of the key players in Finland’s Housing First strategy is the Y-Foundation, an association of local authorities, church, construction, trade union and health organisations that has been supporting homeless people for more than thirty years. Starting in 2008, the foundation converted homeless shelters in Finland’s biggest cities into rental housing. At the same time, the government set targets for local authorities to build new flats in mixed housing developments. 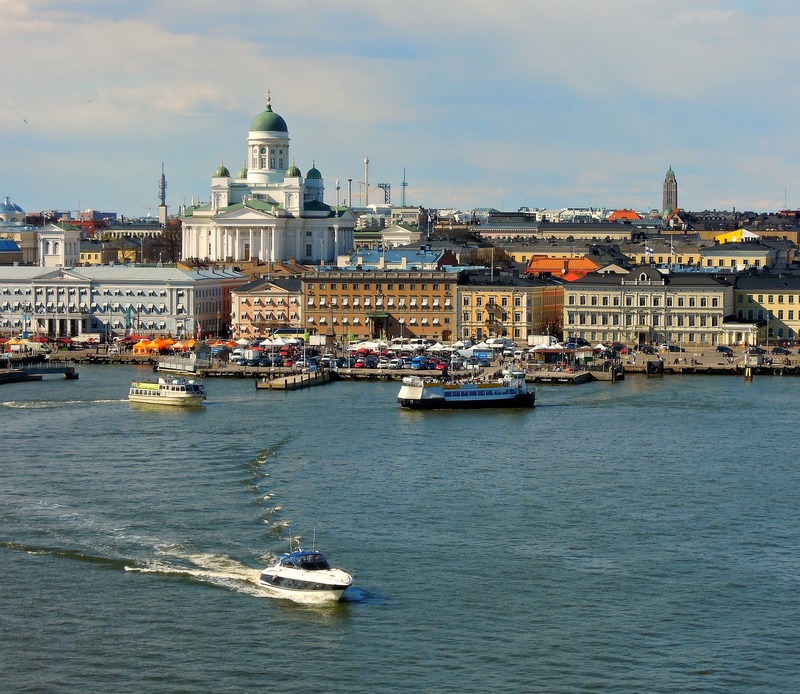 The programme is backed by money from government grants and the proceeds from Finland’s not-for-profit gambling monopoly. He estimates that taking each homeless person off the streets saves social, health and emergency services around €15,000 a year. Homelessness charities in Britain have been taking great interest in the success of Housing First in Finland. A pilot project in Glasgow by Turning Point Scotland was the first Housing First project to be implemented in the UK. Between 2011 and 2013, the project provided mainstream social housing and 24/7 floating support to 22 individuals who were homeless, aged 18 or over, and involved in substance misuse. An evaluation of the project by Heriot Watt University found that none of the tenants were evicted from their flat and the majority of participants retained their tenancies. The Welsh Government has announced that it is considering moves towards a Housing First policy. The communities and children secretary for Wales told the Welsh Assembly in April 2017 that he would be reviewing homelessness prevention in Wales, and is exploring Housing First initiatives. Working with the Depaul youth homelessness charity, the Northern Ireland Housing Executive funded a Housing First pilot scheme in Belfast. An evaluation of the 18-month programme reported a number of positive results, including a high rate of tenancy retention, improvements in participants’ self-care, confidence and living skills, and reductions in their dependence on drugs and alcohol. A further Housing First programme has since been established in Derry. In 2015, the University of York published findings from a study of nine Housing First services in England. The authors reported high levels of success in reducing long-term and repeated homelessness, with 74% of service users successfully housed for one year or more. There were also significant improvements in the physical and mental health of Housing First tenants and high levels of satisfaction. The Centre for Social Justice has called on the UK government to set up a £110m national Housing First programme, arguing that the investment would save money and lives. This entry was posted in Housing and tagged addictions, addicts, alcohol, alcoholics, Belfast, Depaul, drugs, Finland, glasgow, helsinki, homeless, homelessness, housing, Housing First, substance misuse, Turning Point Scotland, vulnerable. Bookmark the permalink.